In order to keep your child safe, you must become confident with educating others about food allergies. When other people look after your child, it is important that you teach them about your child’s allergy, including details on how to prevent and how to treat a reaction. 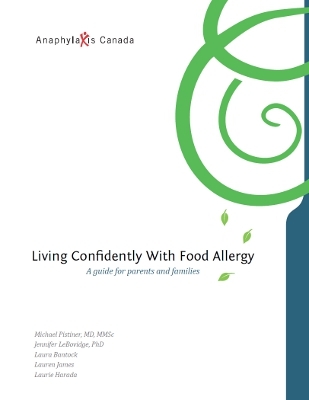 One page pdf that reviews key food allergy management principles and informs others about your child’s specific food allergies. Handy reference for playdates, birthday parties, and other drop-off situations. Be patient as others try to learn about your child’s allergies. Food allergy may be new to them. Take the time to explain why certain steps are necessary to prevent an allergic reaction and what to do in an emergency. Use language that is easy to understand and keep in mind possible cultural and age differences in people’s understanding of allergy. Speak in a calm manner. You should explain that although food allergies are serious, they can be managed. Be open to answering questions and talking about concerns that others may have. Avoid using scare tactics or high emotion to convince others to take allergies seriously. Such tactics will probably have a negative effect. People may think that you are over-reacting or feel uncomfortable taking care of your child. If you are having difficulty getting someone to understand or take your child’s allergies seriously, try a different approach. There may be times when you feel others “just don’t get it”, no matter what you say or do. This could be due to a number of reasons. It can be helpful to give information from trusted sources, such as your child’s doctor or an educational handout or website. Sometimes, asking someone else to speak with the person can help, too.